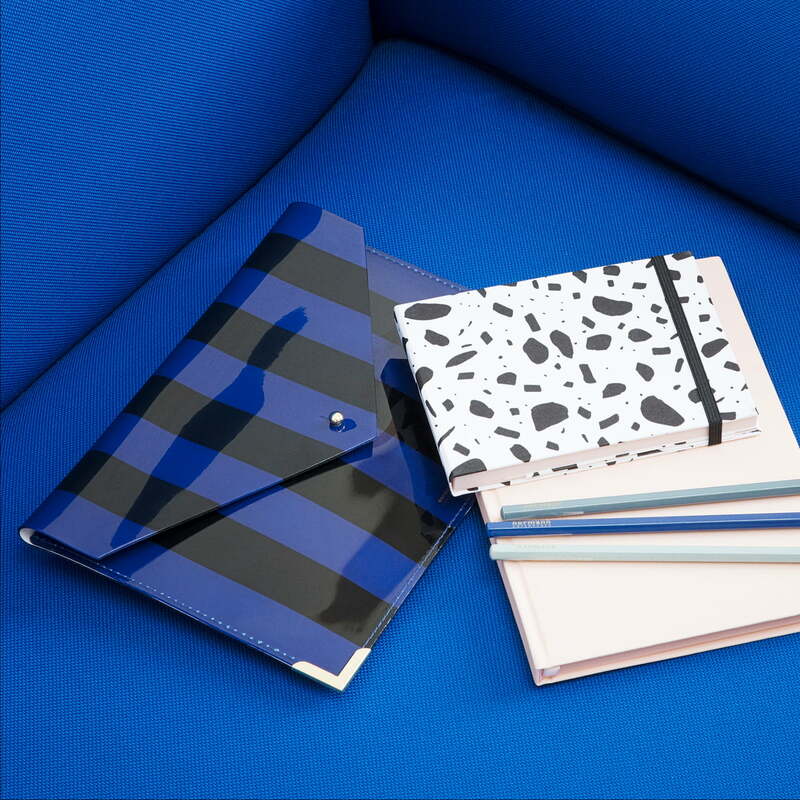 Thanks to the envelope folder by Normann Copenhagen, documents and files can now be transported in a stylish and flexible way. The folder is part of the Daily Fiction series by Femmes-Régionales and is available for documents in sizes Din A4 and A5. The briefcases are suitable for university, work or school, because loose pieces of paper and books can be safely kept and transported within it. The folder is made of soft PVC. 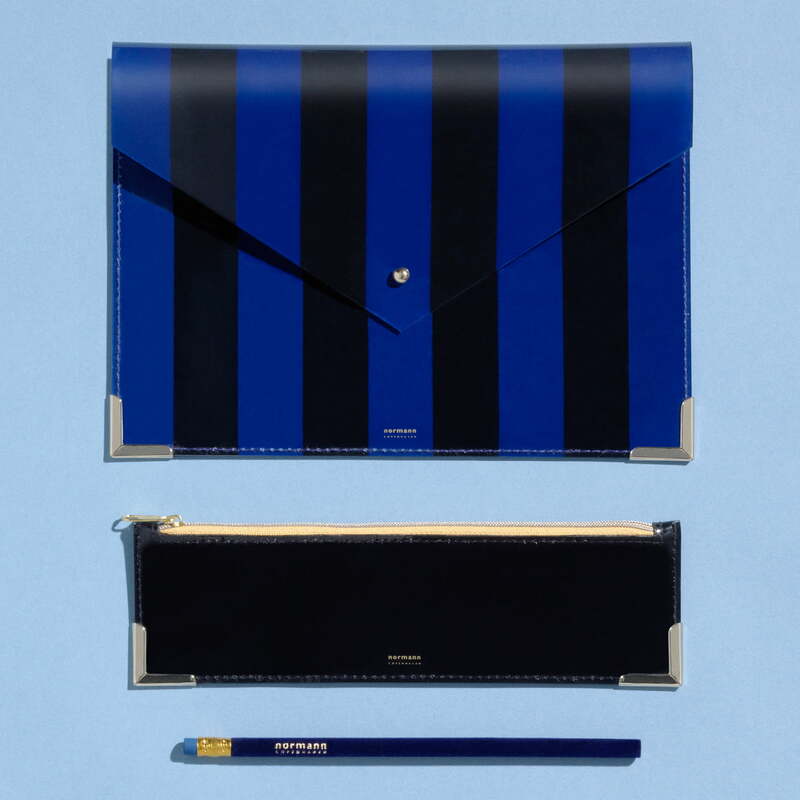 The corners feature golden metal elements. As part of the Daily Fiction office series by Normann Copenhagen, the portfolio was awarded the Wallpaper Award. 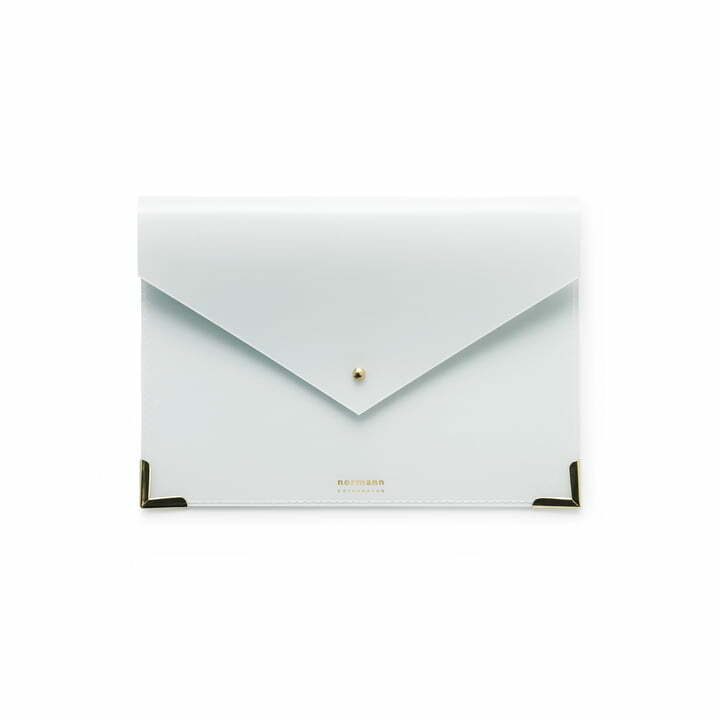 The small envelope folder by Normann Copenhagen in white: It belongs to the Daily Fiction series of stylish office accessories by Femmes Régionales for Normann Copenhagen. 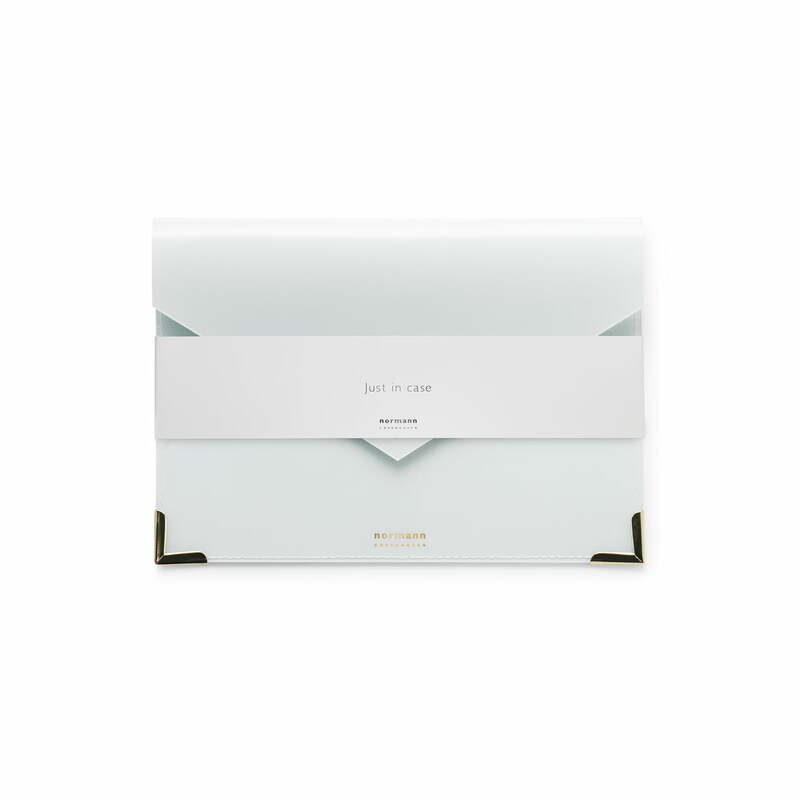 The small envelope folder by Normann Copenhagen in white with packaging. The Daily Fiction products are characterised by short and concise quotations. "Just in Case" is inscrived on the envelope folder. 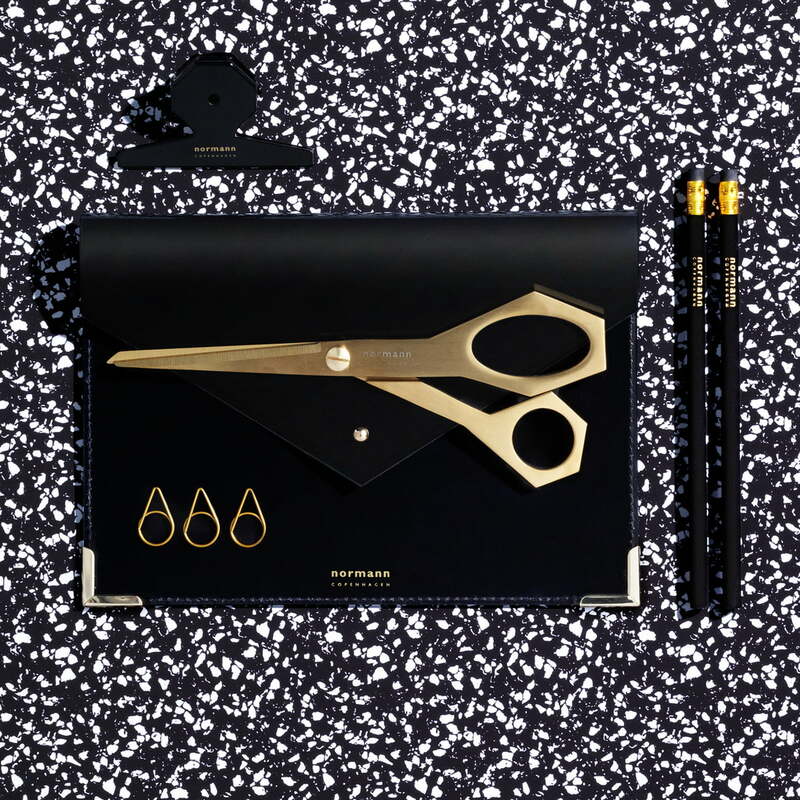 The scissors and the envelope folder belong to the Daily Fiction series by Femmes Régionales, which consists of various everyday objects for design enthusiasts.